buyerly babble | connecting product companies and retail buyers in an exciting new way! Today, Target announces the closing of Canada retail operations. This comes after a bold entry to the North in 2013. But as surprising as this announcement may come, it is a decision that came with much thought and analysis, according to Target’s new CEO, Brian Cornell. Read more about his decision, in his words, here. The entry to Canada was a long time in the making. I remember the code word, “Project Bacon”, murmured through the halls of Target HQ starting in 2009. I’m sure the exploration into Canada began much earlier before the average Target team member caught wind of it. This failed foray into Canada is a glimpse into how decisions at Target were made under the former CEO’s watch, which is, insular thinking. Go with the grain. This is not necessarily a bad thing, as you need a company culture and business processes that are consistent. But there is a tipping point which Target had reached…culminating in a drop in store traffic, negative to small sales growth comps, merchandise that no longer “surprises and delights”, a less than swift handling of the security breach (not so speed is life* now was it? ), and now, the botched execution of the expansion into Canada. So what does this mean for specialty brands? Well for one, under the new CEO’s reign, theoretically more specialty brands have a shot at getting into Target US Stores now than in the years past. But there are still some retail buyers who are risk averse, uncertain of how to proceed with the new cultural shift inside Merchandising, while others are going “balls to the wall” and bringing in new brands and fostering creative partnerships. So what action can you take? Keep building your business case for Target as you ready yourself for their stores. Build strong sales history and distribution in stores just a tier below Target in size and stature. Keep supporting your marketing plans to build brand awareness and foster a “tribe”. And definitely measure the sales lifts from those marketing plans. And smooth out the bumps in your supply chain and business operations so that you’re able to handle the scale and demands of a large retailer. But ultimately, small brands should take this lesson from Brian Cornell: Fail fast. If your product, your agency, or any project you’re working on is not hitting its goals and expectations, quickly evaluate and iterate. If you can no longer make refinements to improve the outcome, then make the hard decision to exit the project/product/relationship. Fast. Fail fast, friends. There are no failures, just lessons. Well, I take that back. Not failing fast is a failure. Now say that 10 times quickly. PS: This blog post was not proofread in order to get this breaking news out quickly. Announcement: Buyerly zigs while competitors zag. Buyerly ramps up Product Feedback in 2015 due to customer demand. And says adios (for now) to the B2B marketplace, Product Closet. Read more about this latest move below. What’s happening. In January 2015, we will sunset our virtual trade show service, the Product Closet, to focus on our wildly successful Product Feedback service. This means we will not be accepting payment for new Product Closet profile submissions. 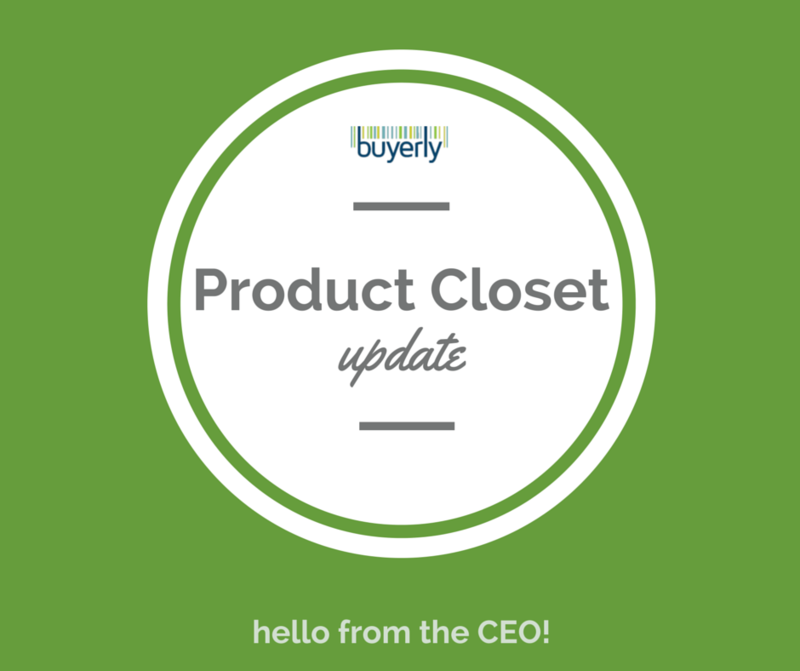 For current Product Closet customers, your profiles will remain active and view-able to our retail buyers until your current one-time subscription expires. Looking ahead. This move allows us to focus on our competitive advantage and point of difference, the Product Feedback. Our Product Feedback customer satisfaction is higher than we could have imagined! Brands, like yours, are floored by how instrumental our buyers’ feedback has been in identifying blind spots and improving their products’ success in-market. Collectively, Buyerly’s clients have opened hundreds of new doors of distribution, grown their company sales, and saved thousands of dollars in product development mistakes. Give me a shout if you’d like to chat more about our latest evolution. I always love hearing from our brands. Here is a round-up of resources to help you continue your momentum after the trade show. Question: How do I follow-up with buyers post-show? Question: How do I make sure I get purchase orders after the show? Question: I was approached by international distributors. Should I work with them? Question: A big box retailer came to my booth. Am I ready to do business with them? Question: I received an order. What do I need to do now? Question: I met some sales reps. How do I know if they are good? After the show: How do you follow up with retail buyers? Your brand is exhibiting at a trade show and FINALLY, a retail buyer from a major retailer drops by your booth. You’re excited and nervous. You answer their questions, give them your marketing material and order form and ask for an order. They tell you they’ll have to review your materials, along with all the other booths they have visited, and will contact you if they plan to order. Awesome! But NOW WHAT? How will you cultivate this buyer relationship? How will you turn this and other leads into future orders? And lots of them! Follow these tips to keep the momentum going. But more importantly, heed this advice to demonstrate to buyers you have what it takes to be a good and credible business partner. In other words, you are solution-oriented and a good listener. Follow-up so they remember why they liked you when they first met you at the show. Check out some sample follow-up letters we have written to retail buyers that have turned into business! Follow-up with solution-oriented answers to buyers questions. During the show, you engaged retail buyers in questions that helped you determine the business problem they are trying to solve. Maybe you learned their “problem” was trying to attract a new shopper segment to their store. Or maybe you learned their “problem” is trying to grow their average retail markup. Or maybe you heard them discuss their new push in bringing in more innovative products. Whatever that “problem” is, include in your follow-up with each buyer asolution to their individual problem. Convert a soft “no” to a “yes” by implementing feedback. Maybe during the show, you received feedback from retailers that you pricing was too high. Or your packaging was not right for their stores. They may have given you a soft “no” here, but this is an opportunity to convert to a “yes” by following up with a solution to their feedback. First, take this feedback to heart and decide whether you will act upon it. If you do, once you have revised your submission, email or call the buyer back to let them know you have listened and would like to schedule a meeting so you can walk them through the updates. Tell them how you listened to their feedback and made adjustments or mitigated their concern. Be careful not to sound defensive! Make sure you come across as appreciative and open-minded about their feedback – and this will go a long way in establishing a good relationship with them. Instill a sense of urgency with PR activity or newsworthy updates. If you do not hear back from the buyer after the above, fret not. Sometimes it is a matter of timing. Follow up once every 6 weeks, but only with newsworthy updates. For example, with upcoming media or PR activity that will drive awareness of your product and potential foot traffic to retail stores. Or, with updates on new major retailers that have picked up distribution of your products. Or, with new product launches. All of these updates pique buyers’ interests, builds urgency, and shows that your product has sales potential. And treat it like a marathon, not a sprint. Your goal at the trade show should not be to get as many orders as possible, but to meet as many buyers as possible, make a good first impression and build relationships. Retail buying is a process that happens over time (hence, the marathon analogy). Yay! You got a new order! Celebrate and pat yourself on the back. Enjoy the moment, because now the real work begins. 1. Fulfillment. Do you have the inventory to fill this order? And can you send it to retailers by their expected ship date? Is there anything you need to customize for this account (packaging, hang tags, POP materials, casepack configuration)? 2. Marketing support. Can you support sales at shelf? Contrary to what you believe, your product will not sell itself. What marketing activity will you implement to grow brand awareness? What retailer-specific marketing programs will you implement (e.g., coupons or advertising that mentions the retailer)? What in-store marketing support will you provide (e.g., POP displays, signage, etc.)? 3. Sales. What are sales or sell-through expectations of the retailer? Make sure you know this so you have a target to shoot for with your above marketing. Monitoring sales is key. If sales are not meeting expectations, you need to be ready with a plan of action for the buyer. Or risk being de-listed. On the other hand, if sales are awesome, you’ll want to tout that to the buyer and use it to either increase inventory orders, shelf space or SKU count. Ask the buyer at the onset if they will share point of sales data with you so you can be a good partner and help them manage your business. 4. Customer service. Put your problem-solution hat on and be ready to provide contingency plans for various scenarios you might face when doing business with this retailer. And how retail buyers almost overlooked this brand. We are so proud of our client, Click & Carry. 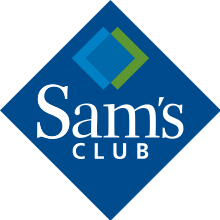 Watch this 1:30 video to see what simple action they took to make a positive first impression and land QVC and Ralphs (Kroger) as retail accounts. We have found that retail buyers often overlook high-potential brands because they are short on time. Effective and compelling communication increases your likelihood of getting through to them. And it is as simple as finding the right talking points. 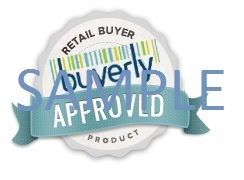 Receive this badge for usage in your sales materials and emails to retail buyers. It’s a great credibility booster! Despite Buyerly’s short existence, we have scored some pretty impressive wins for our clients. We will be sharing those wins very soon. But one thing that we want to share now is something we have tested and found impactful. It is the Buyerly Retail Buyer Approved badge. While it is awarded by Buyerly, it is essentially a seal of approval by the nation’s most influential retail buyers! How does it work? To qualify for usage of this badge, your product must have completed a 2-buyer, 4-buyer, or 6-buyer Product Feedback within Buyerly AND receive scores of “Probably Would” or “Definitely Would” to the question, “Based on the information you have read, how likely are you to invite the vendor representing this product to meet with you to learn more about this product?” by at least 75% of your panelist buyers. Why use the logo? Endorsements by retail buyers generates awareness and appeal among retail buyers. After all, retail buyers value the opinion of other retail buyers. It’s been shown that demand and interest from retail buyers validates and creates further demand and interest with other retail buyers. For example, a retail buyer at a well-known national retailer was not interested in Brand X, but once he learned another well-respected, influential retailer was interested in and had positive things to say about Brand X, the national retail buyer was more willing to explore further discussions with Brand X. The herd mentality very much exists in retail! Only about 20% of brands have earned this designation to date, so it is competitive and truly an honor. We’ve found those brands that earn this distinction go on to do well in retail channels and are the brands we heavily promote to retailers. Retail Pitch Tips: How Do I Find A Retail Buyer’s Name And Contact Information? HOT TIP: Need to find the email address format for the retailer you are seeking? One customer recently tested http://www.email-format.com/ after finding the retail buyer’s name on LinkedIn. She used this site to guess the email format and…success! She got in contact with them! I had the recent honor of recording a podcast with fellow web-enterpreneur, Natalie Eckdahl, who does this fantastic podcast series called BizChix. I set high standards for myself but rarely do I critique myself publicly. But today I want to use myself as a Retail Pitch Tip example to benefit you, the product entrepreneurs. And then an hour or so before game time, clear your head. Get present in the moment. I like to close my eyes and visualize how I want to come across. Keeping with the sports analogy, get your game face on and start talking in your game “voice” prior to when you go live. For me this usually requires me to slow down my speech and smooth out my cadence. Keep these tips in mind before jumping on the phone with a retail buyer, before a meeting with a retailer, or any time you are “on stage”. Doing so will refine your presentation and convey credibility. Shall we see what good and poor preparation sound like? Check out this podcast below. I share some great content for product entrepreneurs, plus a lot of “um’s” and moments where I’m searching for words. But then contrast my performance with the interviewer, Natalie. She is impressive and clearly did her preparation! Then check out my MSBBC interview and see another example of good preparation. See the difference preparation can make? Making myself a case study aside, this podcast is a recommended business resource. Since my podcast recording, I’ve listened to other episodes in her series and am impressed by the quality of guests, insightful interview questions and the many productivity and business tips guests share. This is definitely my go-to business podcast now. Definitely check out Amy Porterfield’s interview, which is episode 74. I took down a page full of notes from that podcast. What tips have you found helpful in preparing for live presentations? Be still our hearts. We found a mission-driven company that prioritizes fashion as importantly as their cause! Who is this diamond in the rough? Number 1. Tangible emotional benefit. Each item is tagged with the name of and a message from the woman who handmade the very item you bought. Every good product marketer can tell you that every successful product has an emotional pay off. For cleaning products, the emotional benefit may be feeling like the superhero mom because you wiped-out every last icky germ in your house so that your kids are safe. 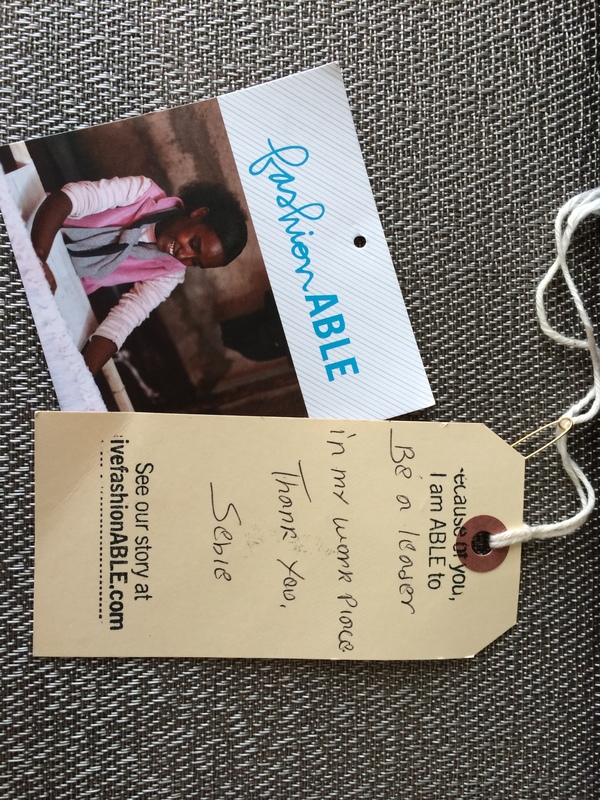 In the case of fashionABLE, the emotional pay-off is knowing that you helped Sebie (see photo below) develop into a leader in her work place. For others in the fashionABLE network, your purchase may help provide an income and fund job training for many other women disadvantaged by the effects of poverty. Tying a purchase to a tangible beneficiary is something that you just don’t get when buying a pair of Toms shoes (no disrespect, Blake Mycoskie!). But a big thank you to Blake for bringing conscious purchasing to the forefront of industry. Number 2: Don’t Ignore What Drives Consumers’ Purchase. Let’s not forget the #1 criteria when consumers purchase fashion: style/design. Buyerly has seen many cause-related companies that sell products to support communities but fail to meet the functional needs of its consumers. The functional need of fashionABLE consumers is an accessory item that reflects their style and finishes their outfit. But strangely, many companies deprioritize this. Remember, the reality is that supporting causes is a “nice to have” for consumers. They can only support others after they’ve supported themselves…and in this case, their style. We’d love to hear what conscious-purchasing companies you have come across that you think does the above well. Who are they? Tell us about them.